Great location! This is a profitable, established business and the owner is flexible on terms. Hwy. 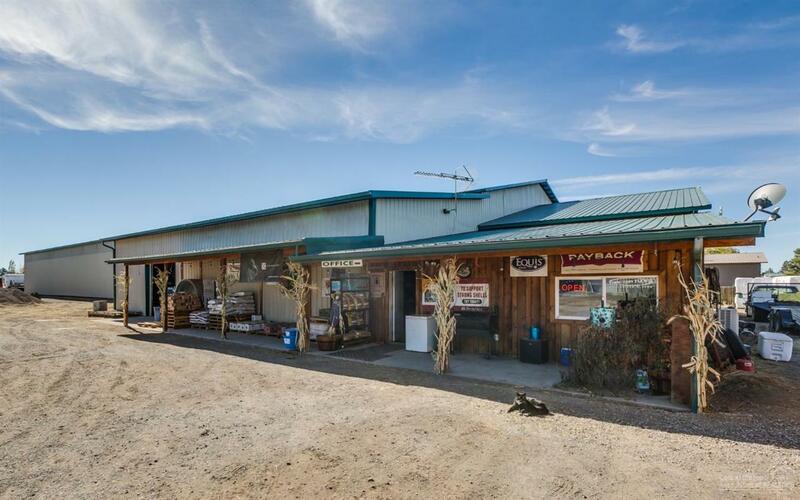 97 frontage, condition use to sell hay, retail livestock feed and products & pet food. Commercial building, offices, several hay & storage buildings, 1363 sq. ft. manufactured home that is currently rented (or live in it and run the business), mountain views and much more. Owner will consider carrying a contract, trades, purchase & lease options, flexible terms. Listing provided courtesy of Livbend Real Estate Llc.